If your Facebook page has a Start Order or Shop Now button, disregard these instructions. Facebook is already linked to your online ordering page and following the steps below could result in removing the link. Follow these 3 easy steps to add a Call-to-Action button directing your customers to your online ordering page. You can also watch this short video. Click on Add a Button located just below the banner. Choose a button: Under Shop with you or make a donation, choose Shop Now, and click Next. Click Website Link and add the link to your online ordering page. Click Save, then Finish. Your Shop Now button is added and you can test it by clicking Test Button. 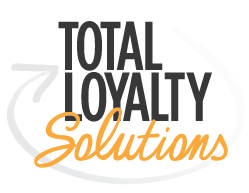 **Call your Total Loyalty Solutions coach for assistance 1-866-509-7127, or email onlineordering@totalloyalty.com.